Lazy Susan rectangular extension tables offer innovative space-saving design, which will also add a modern look to your garden. This spacious 8-seater is tailored to meet your needs and can accommodate up to 12 people when extension chambers are used.  The Deborah set stands out between all other designs available from our competitors. With its sleek aesthetic and convenience of use it will bring you more enjoyable moments dining with your family and friends. 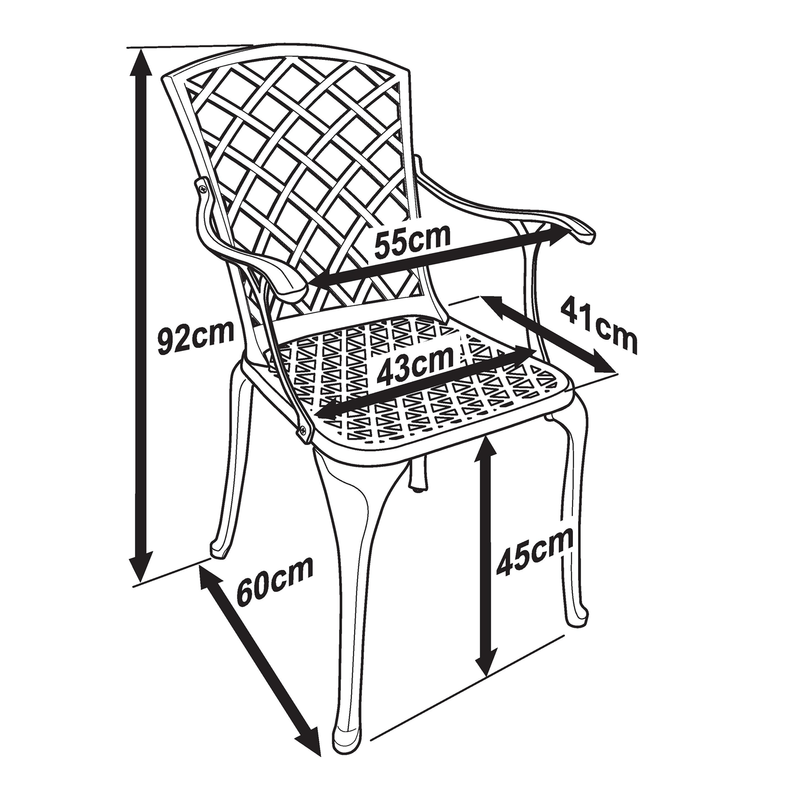 To enjoy the full comfort of Deborah table set, please allow a maximum floor space of 450x270 cm (14 ft 9” x 8 ft 10”) for extended option. 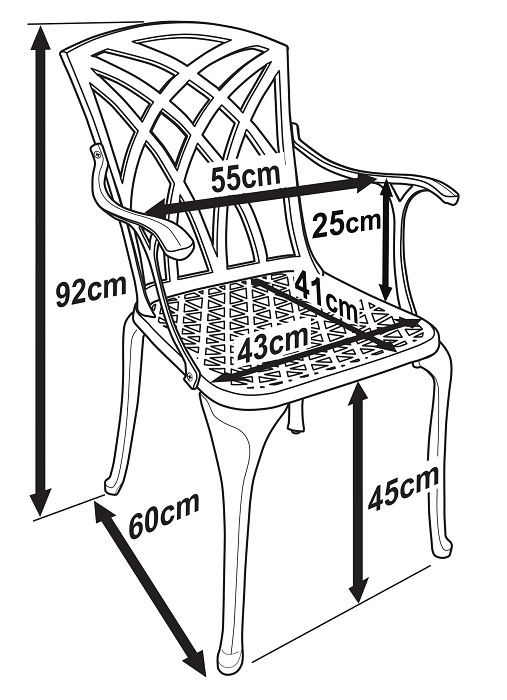 (See specification and chair dimensions for more details). 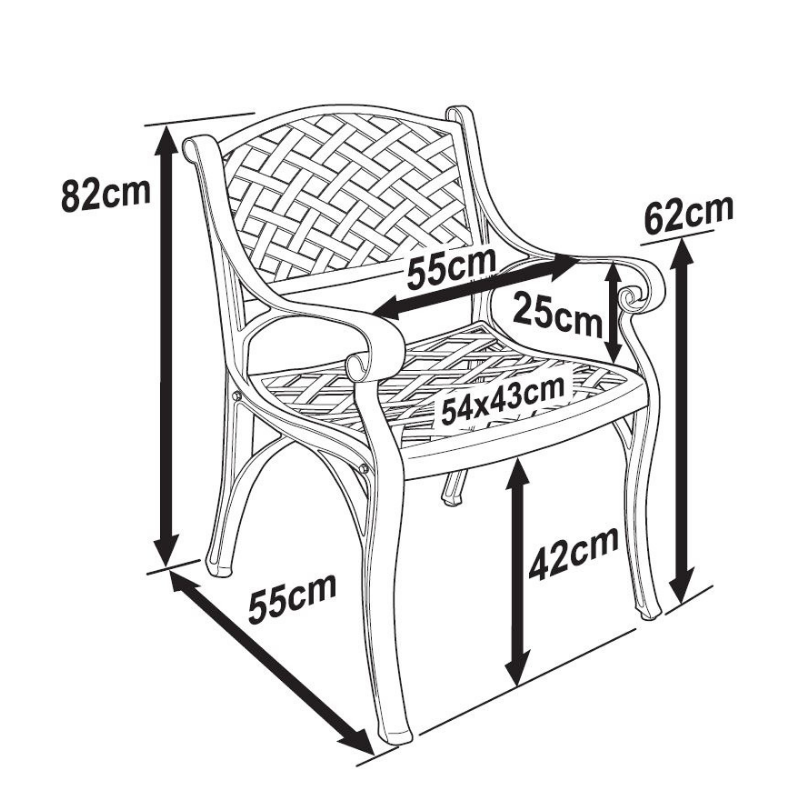 This stylish Deborah extension table weighs 66 kg and it comes in a set with 12 chairs of your choice, however, you can also choose a matching garden bench instead of a pair of chairs to create more comfort for your guests. 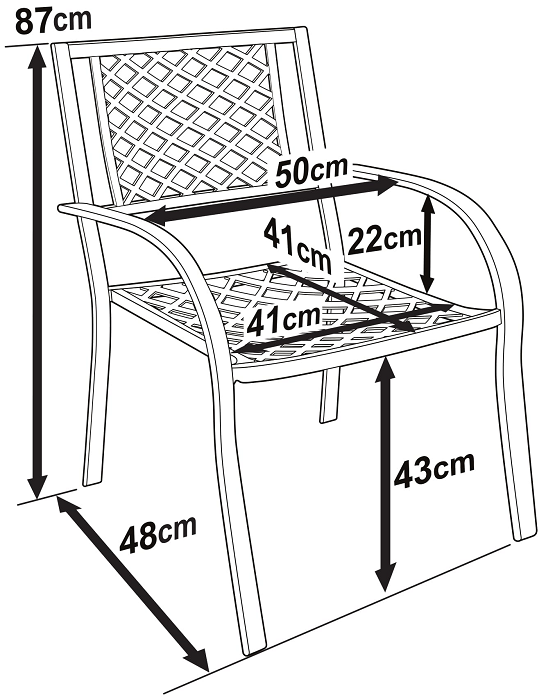 Two chairs are equal in size to one garden bench, though to choose this option, please call us before placing your order. 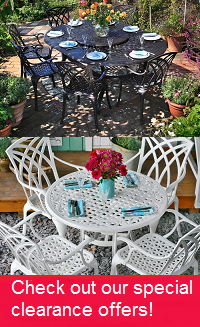 Our customers have used Deborah cast aluminium garden furniture sets in a variety of settings; for their gardens, cafés and even wedding venues. 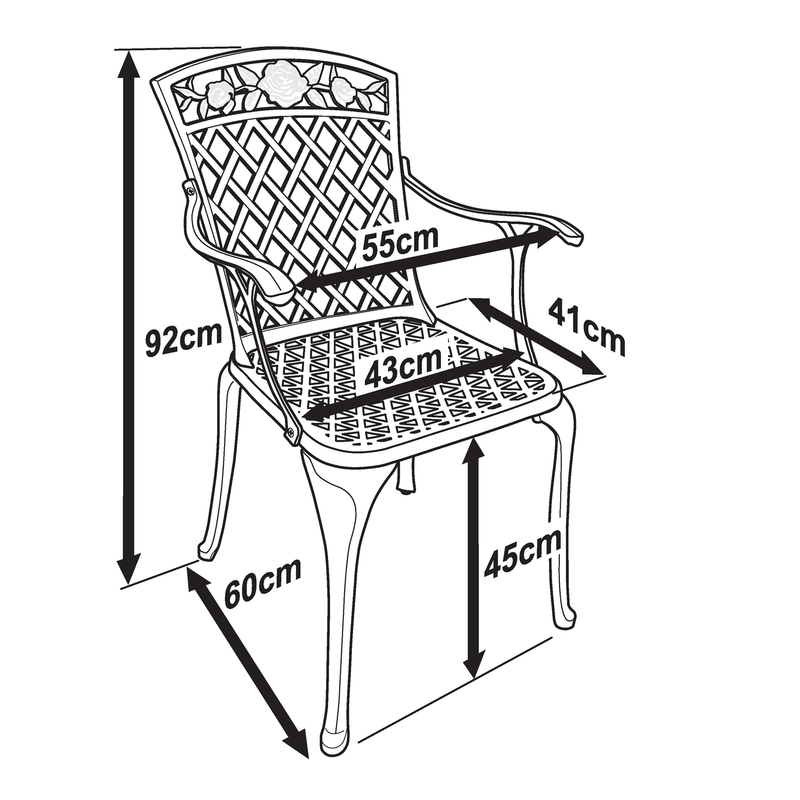 Where will you put your Deborah table? Don't forget to look at our gifts section above where we offer amazing discounts of 30-70% on a wide range of products to complement your purchase of the Deborah table set. Best alternatives for immediate delivery are the Jennifer 10-seater in Antique Bronze or the Isabelle 12-seater in Antique Bronze.